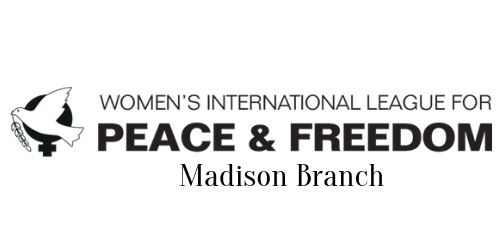 The Madison Branch of Women’s International League of Peace and Freedom invites you to join our quarterly breakfast series! Each breakfast is a place for women activists (or activists of any gender identity) to come together, connect, converse, and engage with a topic affecting the peace and freedom of our world. Usually, a featured speaker(s) presents her passion and work and leads a discussion about how we as a community can take action and contribute to solutions. Our upcoming breakfast will be February 19, 2019, held at Threshold at 2717 Atwood Ave, Madison and featuring M. Adams. For a taste of what kinds of subjects speakers have presented on in the past, see the list below! Medea Benjamin, co-founder of the women-led peace group CODEPINK and the human rights group Global Exchange, on her work and her newest book, Kingdom of the Unjust. 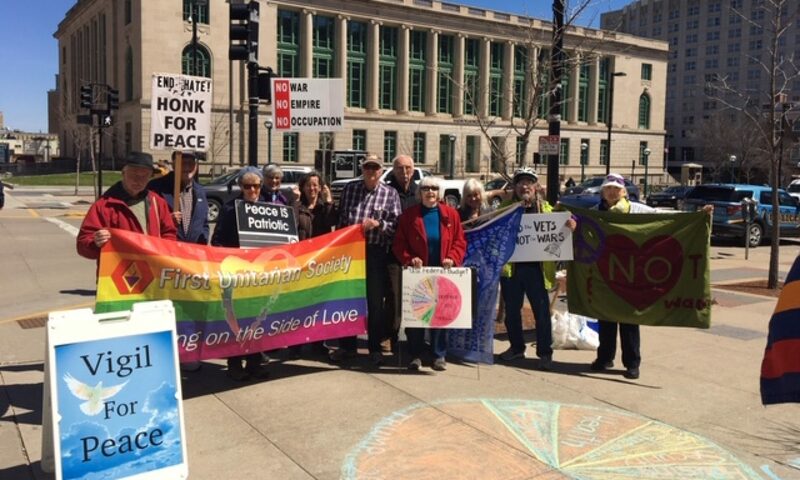 Rebecca Kemble, Madison District 18 Common Council Alder, on the Standing Rock resistance. Sagashus T. Levingston, founder of Infamous Mothers, on empowering women who mother from the margins. Stephanie Trask, March for Our Lives organizer from Madison Memorial HS. Mary Pharmer reports on her four months helping at a hospitality house on the Texas Mexico border.